When you think about it, there are a lot of people who are striving to one day become an accountant. Some people are really good with numbers, truly enjoy math and excel at figuring out complex financial concepts. There are hundreds of accounting programs across the country. In the state of Michigan, there are over two dozen accounting programs to choose from. If you are seriously considering a career in accounting, particularly if you want to go all the way and earn your certified public accounting (CPA) licence. One thing to consider is that the requirements for earning your CPA are very tough and very difficult to pass. You will need a program that will challenge you to figure out some of the most difficult and complex financial concepts. Not every accounting program is designed to help you earn your CPA licence, so it’s important to check to see what exactly they offer. The first thing you should do is check their website and see what type of program they offer, if they give prep for the CPA, and what their mission is. You can also contact the school directly for more information, perhaps speak with a member of faculty, or get in touch with a current or former student and find out what exactly the program is like and if it would be right for you. One thing to keep in mind when finding out what you need to do in order to become an accountant or CPA is that every state has unique requirements. Always be sure to check what the requirements are in your state. Firstly, you will require extensive education, with a bachelor’s degree at minimum. Some programs offer accelerated courses as well. You will need a certain amount of credits, some of them in accounting, some in business. Once your schooling is complete, you will need to qualify for the CPA exam, which is VERY difficult and does not have a very high rate of success. If you do succeed, you will then need to write an ethics exam. You will also need a certain number of hours of work experience in accounting, finance, business management or others. Once you have all of this, you may be qualified for your CPA license. In the state of Michigan, in order to qualify for your CPA, you must be of good moral character, and have a minimum bachelor’s degree with 150 semester hours completed at an accredited college or university. Be sure to check out Michigan’s license requirements at www.michigan.gov You are also required (after passing the CPA exam) to have one year minimum of working experience, all of which must be verified by a CPA. Of course most people have their earning potential on their minds when choosing a career. Depending on where you work, if you are employed with a smaller company with modest wages, or a larger company, you may or may not be making the average amount for a CPA in Michigan. The average salary for a certified public accountant in Michigan is around $75,000 per year. That’s a rough ballpark estimate as many accountants work independently and would not necessarily be making the same amount as others. One of the best accounting programs in the country is at Michigan State University. It is Michigan’s largest provider of CPAs. Their program is at the Eli Broad College of Business and has been around for over fifty years with award winning faculty. They also work closely with employers to get students into internship programs and get hands on experience in the accounting field. You can earn a BA and MS in five years, with the correct courses for earning your CPA. Their masters program is in three separate streams: taxation, information systems and public & corporate accounting. Their faculty are national and international leaders in accounting. The doctoral courses for accounting are also quite renowned and ranked quite high in surveys. There is a great amount of teamwork between the Ph.D. students and faculty, who work close together and create informative journal articles in prestigious journals and contribute to significant national accounting policy-making responsibilities. Michigan State University is one of, if not THE best accounting school in Michigan. According to the 2013 32nd Annual Professors Survey, Michigan did not place for the top 25 undergraduate accounting programs in the US, however the University of Michigan placed seventh place (down from fifth place in 2012) for the master’s program. 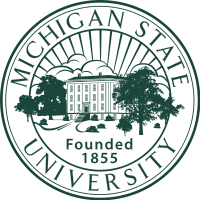 Michigan State University placed fifteenth (down from twelfth in 2012) for the master’s program as well. The top 25 doctoral accounting programs lists University of Michigan at number four (up from number five in 2012), and Michigan State University ranked number eleven (up from sixteenth in 2012). Of the undergraduate programs with 22+ full time accounting faculty, Michigan State University ranked number ten. Of the masters programs with 22+ full time accounting faculty, Michigan State University ranked number ten as well. According to Accounting Degree Review’s Rankings and Reviews of the Best Accounting Degree Programs, Michigan State University ranked at number 13 and is regularly ranked among the best in the country. The accounting program at the Stephen M. Ross School of Business at the University of Michigan – Ann Arbor is ranked 5th in the country by U.S. News, with the university as a whole ranking 29th best nationwide. Public Accounting Report also acknowledged the university in its 2013 survey, ranking it 7th best among accounting Master’s programs, 4th best for its PhD program, and 13th best among undergraduate programs. With such prestigious credentials, the Ross accounting program is highly competitive and will definitely help prospective accountants stand out when the time comes to apply for jobs. According to surveys, 92% of 2014 Ross Bachelor of Business Administration students had a job offer by graduation, while 93% of 2013 Master of Accounting graduates had a job offer. Undergraduate students pursuing the Bachelor in Business Administration at Ross School will benefit from a practical approach to education. There are plenty of opportunities to gain hands-on experience, kick-start your entrepreneurial idea or strengthen your leadership skills through the Ross Leadership Initiative. You can study abroad for a few weeks or a semester and you can get involved in over 70 student clubs. In addition, the undergraduate curriculum includes both research-based and professional capstone courses, as well as a capstone course in Financial Statements Analysis. Graduate students on the CPA track can opt for the 8-month Master of Accounting program. This degree is integrated with the Master of Business Administration to provide a dynamic education that can lead to a variety of career opportunities. The program boasts one of the highest CPA exam pass rates in the country. Finally, students interested in an academic career can enroll on the prestigious Ross PhD program. Having consistently ranked in the Businessweek top 10, the University of Michigan prides itself on devoting attention to one-on-one coaching, women in business and hands-on education that can take you far in the field of accounting.